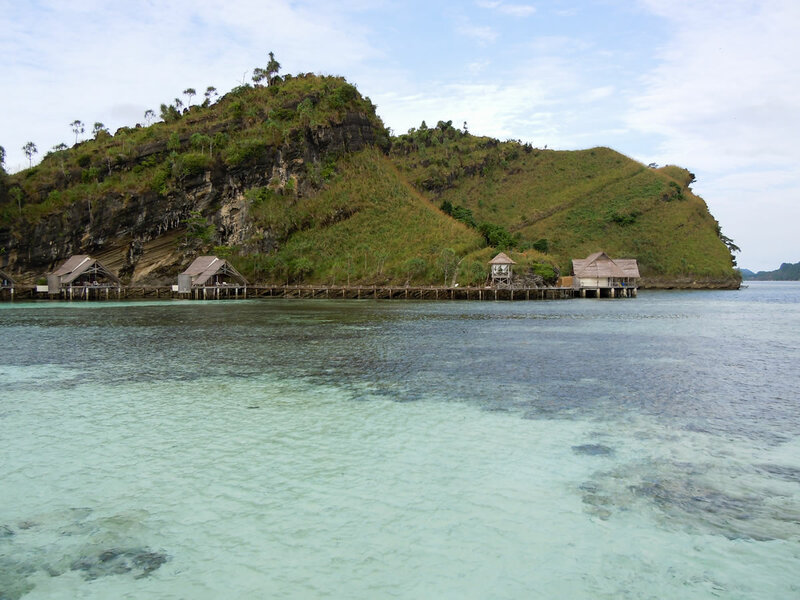 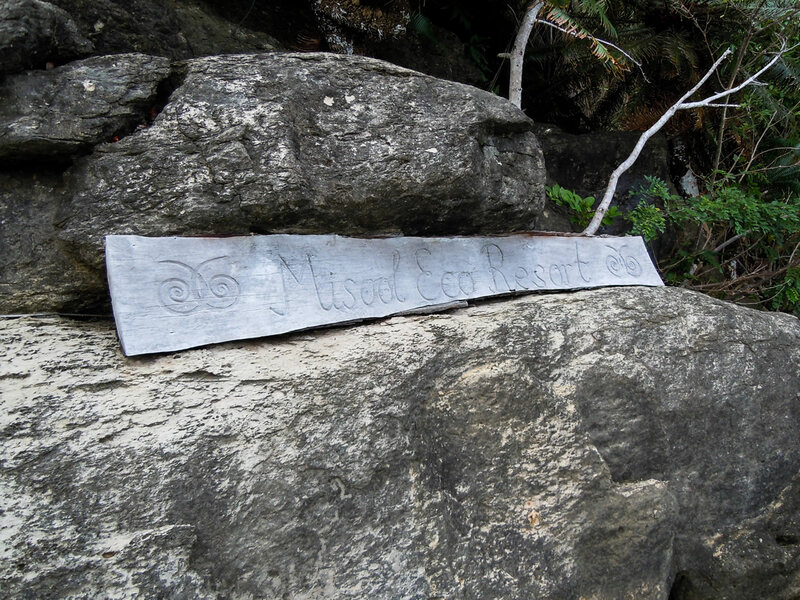 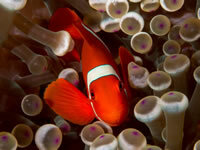 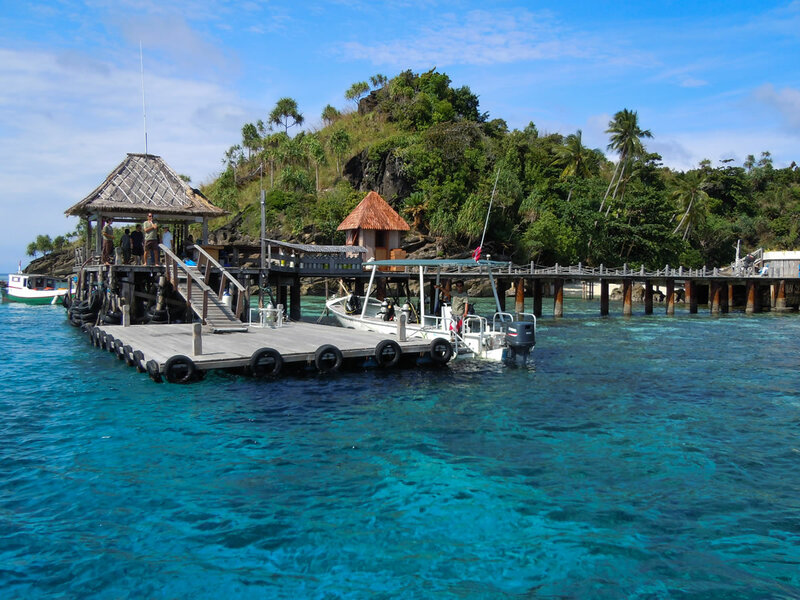 Misool Eco Resort is located in the Raja Ampat region of eastern Indonesia. 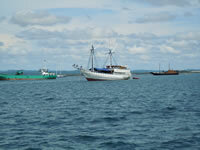 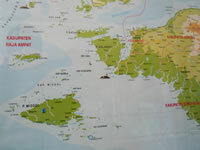 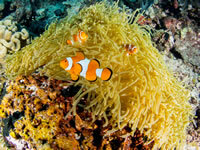 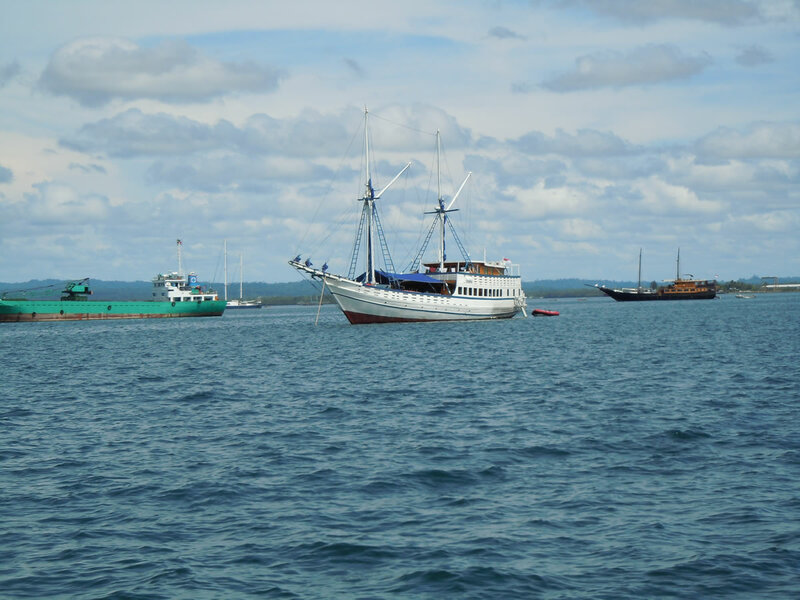 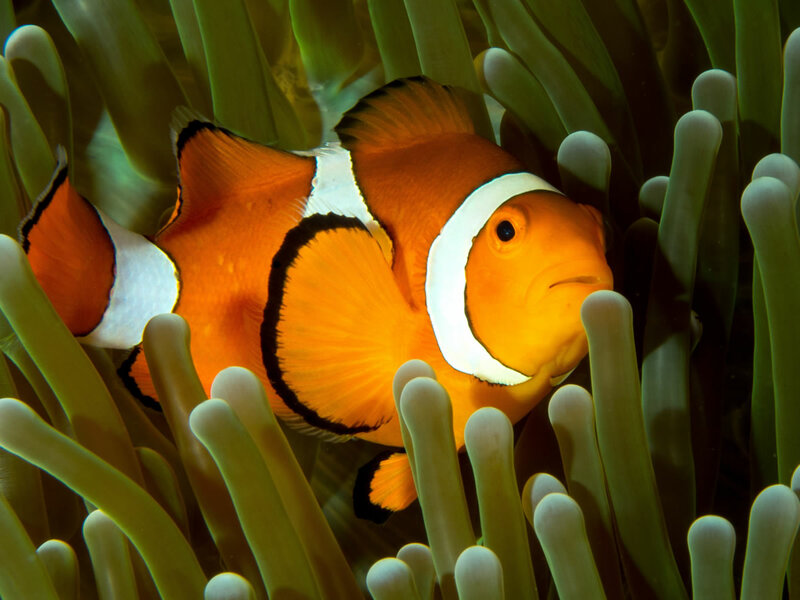 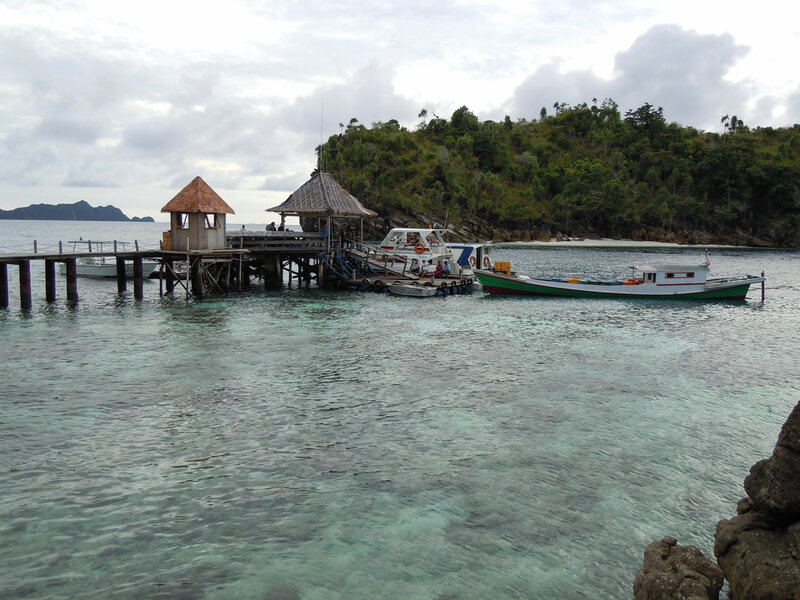 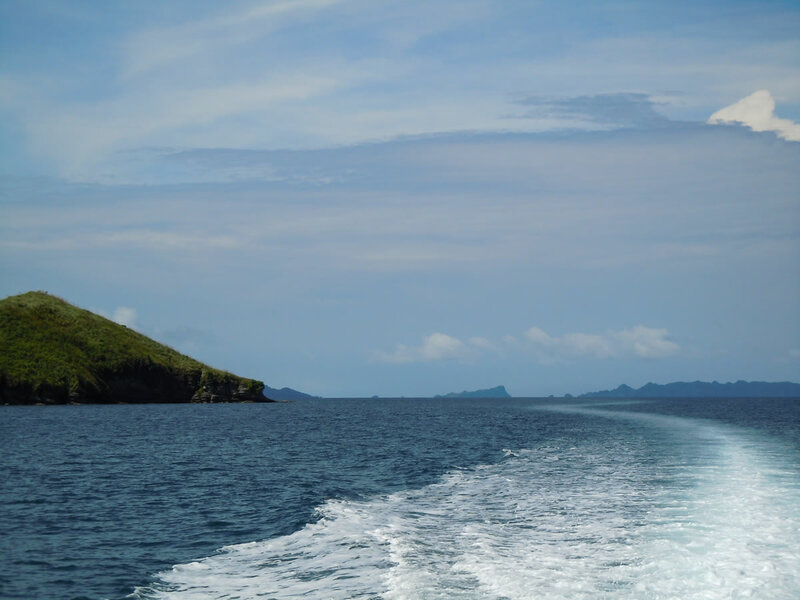 It is accessed by flying into Sorong on the western tip of New Guinea, followed by a five hour boat ride. 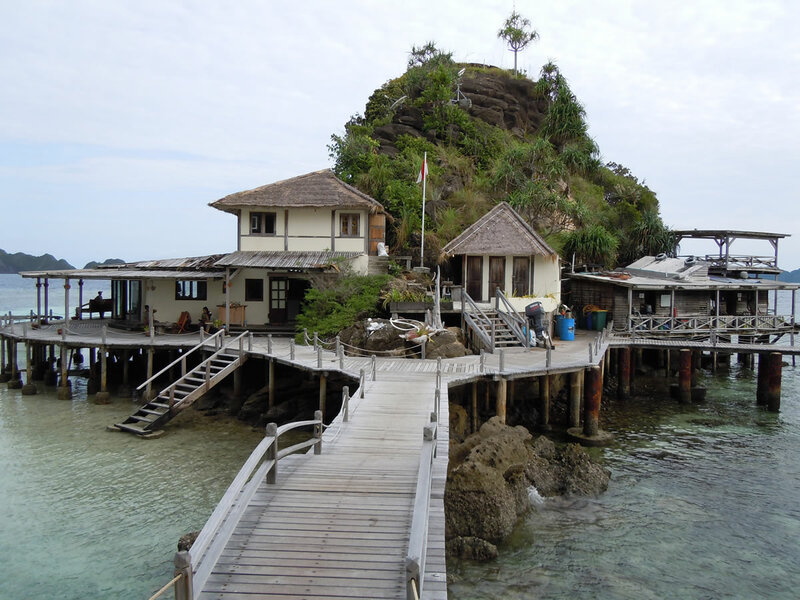 The resort itself is located on the small island of Batbitim, which is on the southeast side of Misool Island. 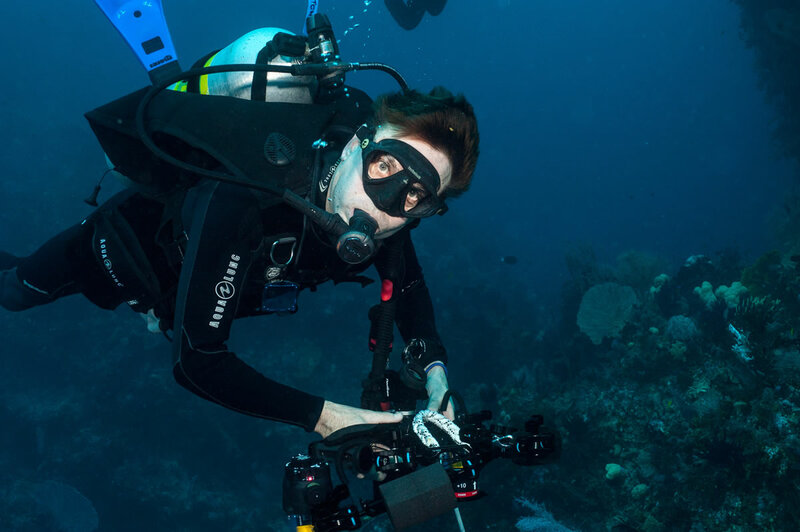 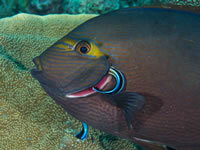 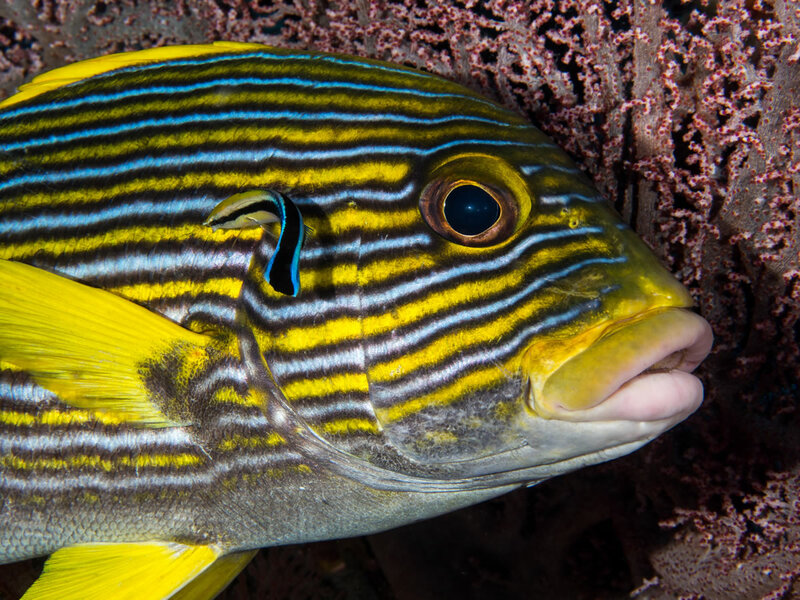 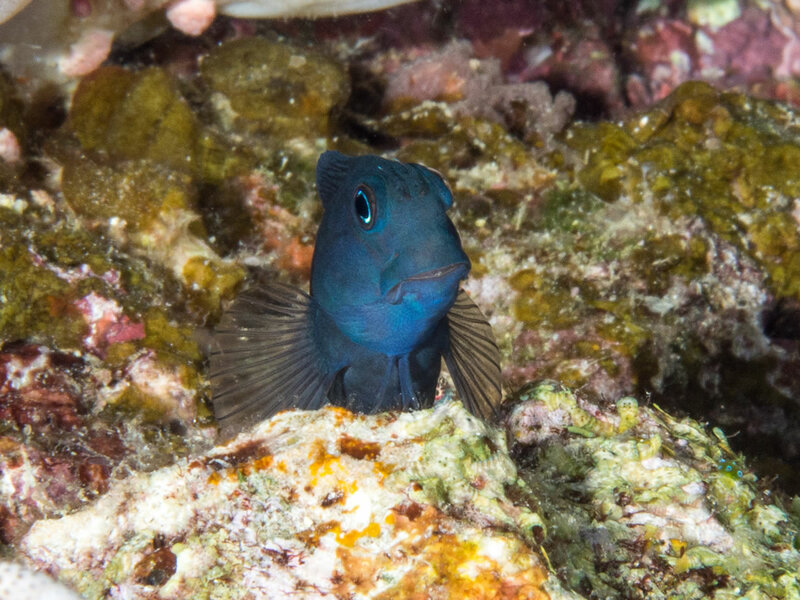 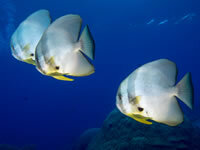 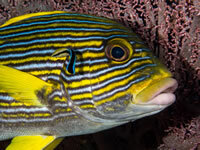 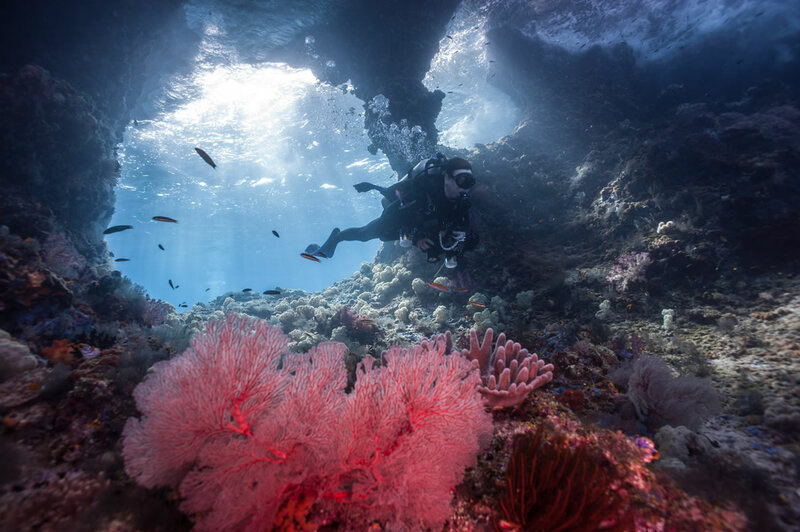 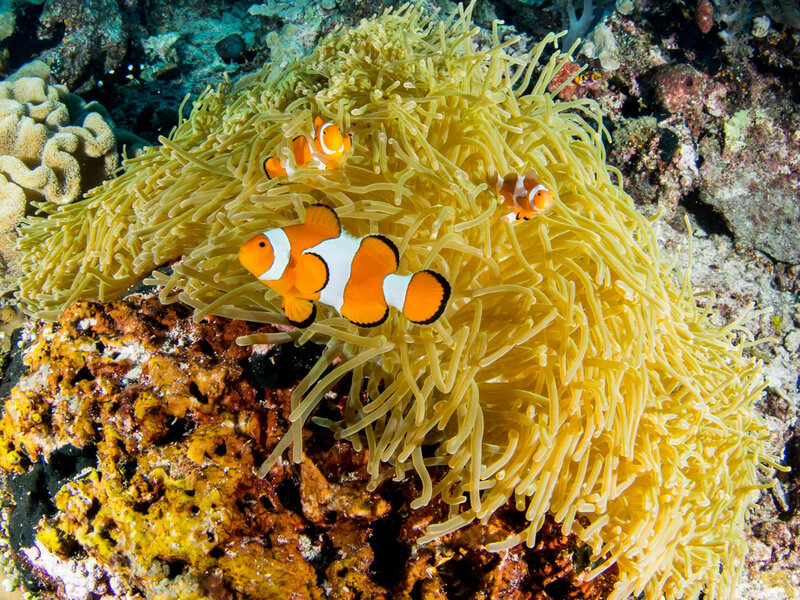 Surrounded by a 460 square mile No-Take Fishing Zone, the reefs are very healthy and the larger-fish population is rebounding nicely. 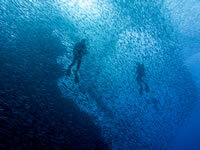 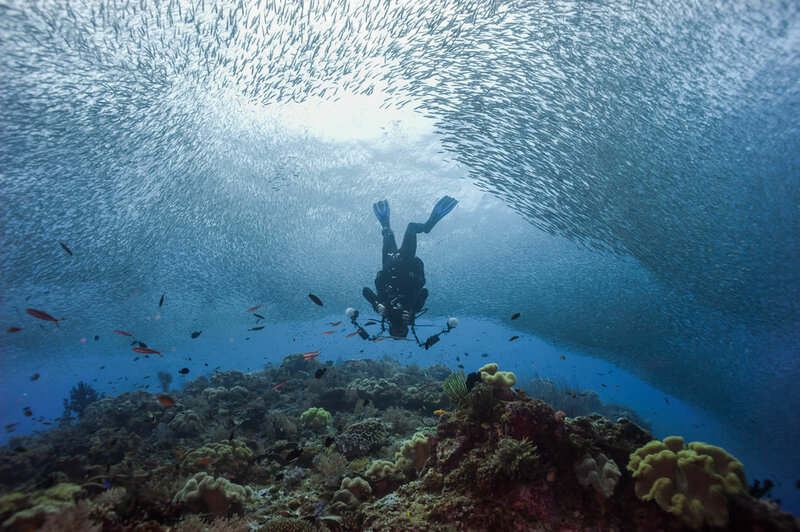 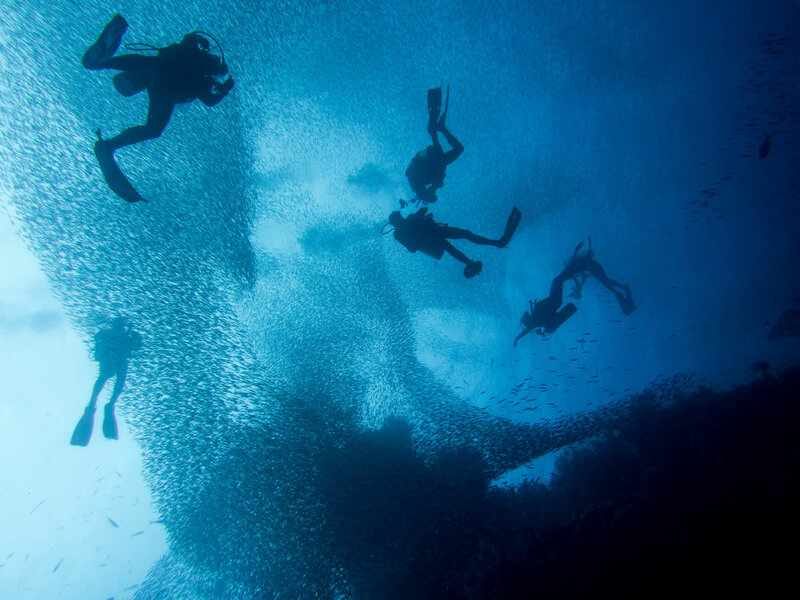 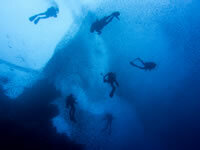 Difficult to see the divers through the massive school of anchovies. 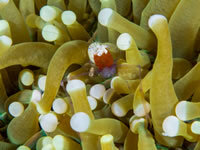 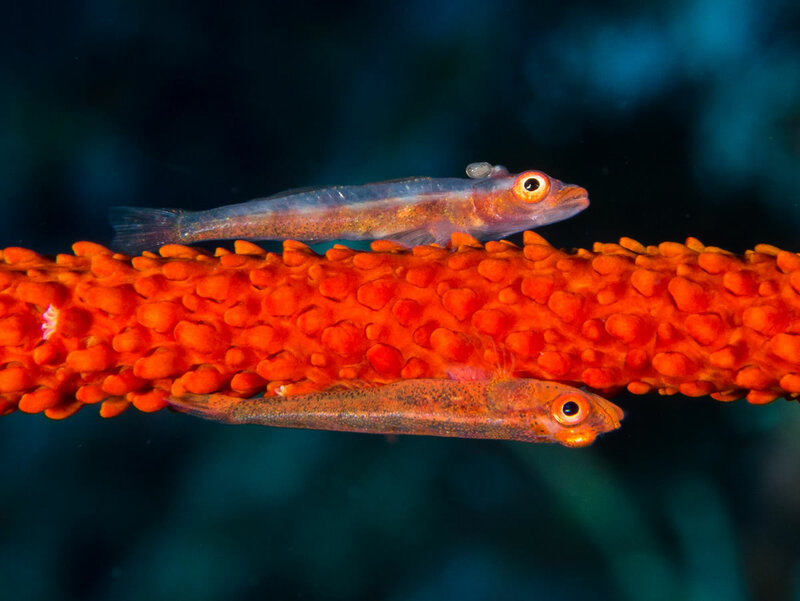 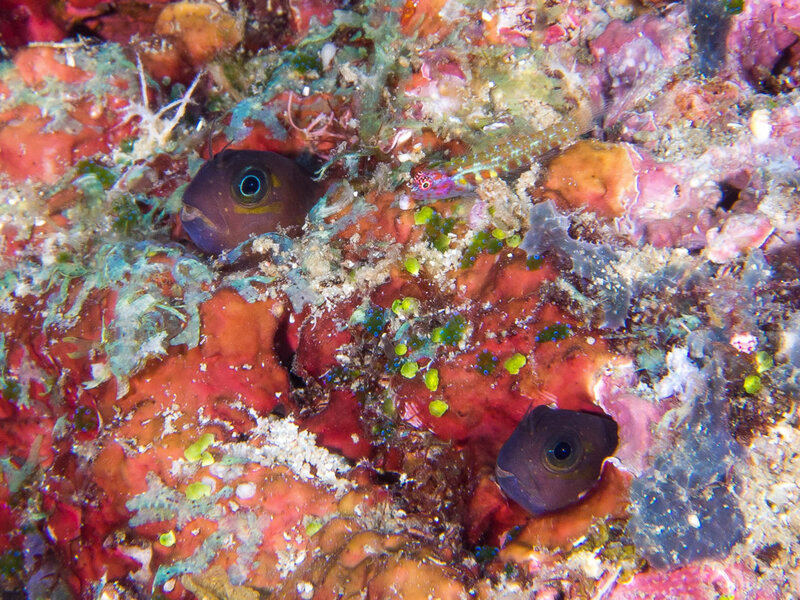 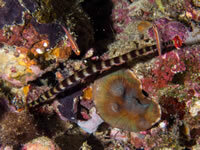 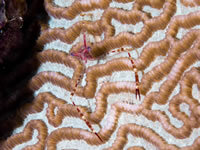 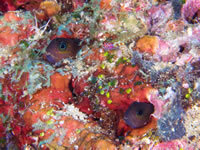 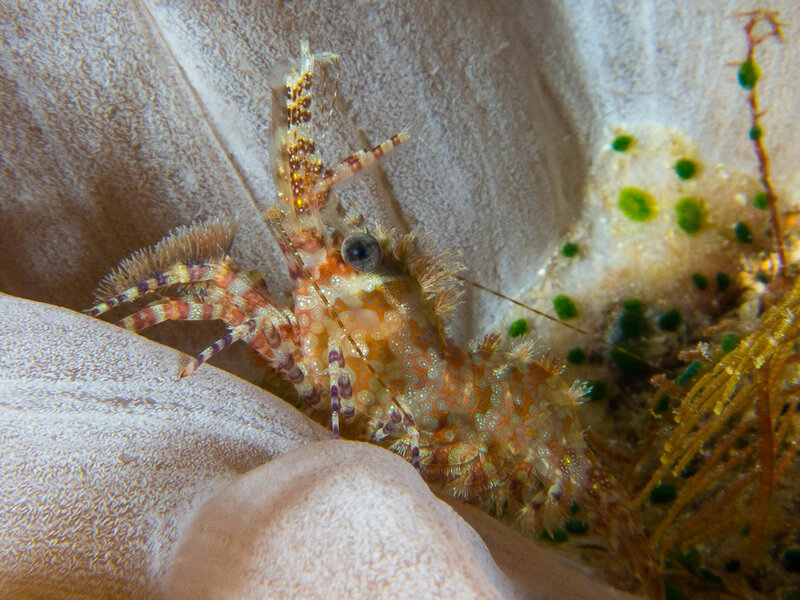 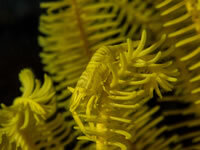 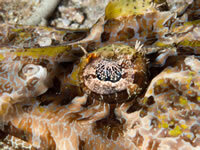 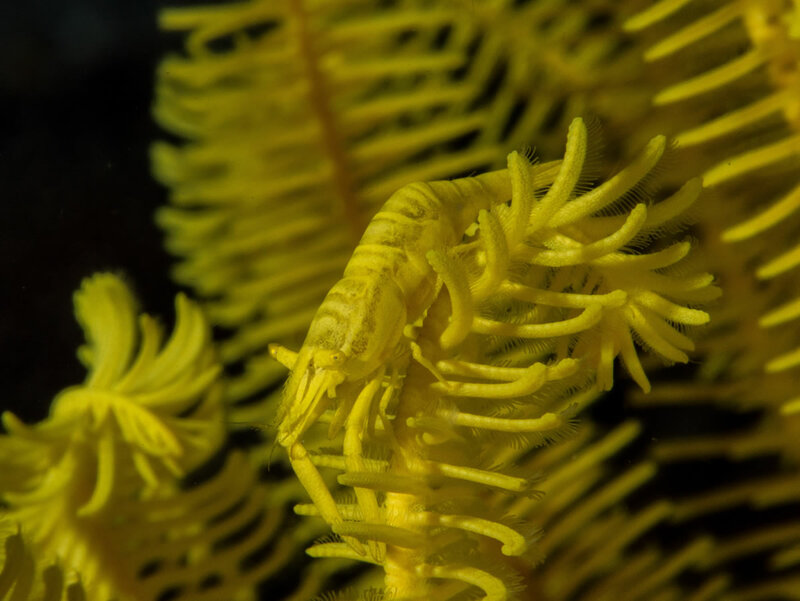 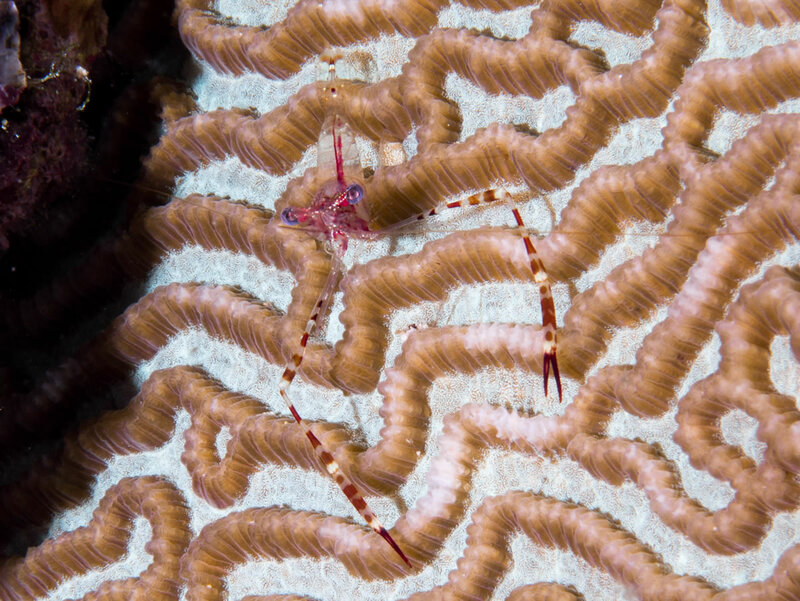 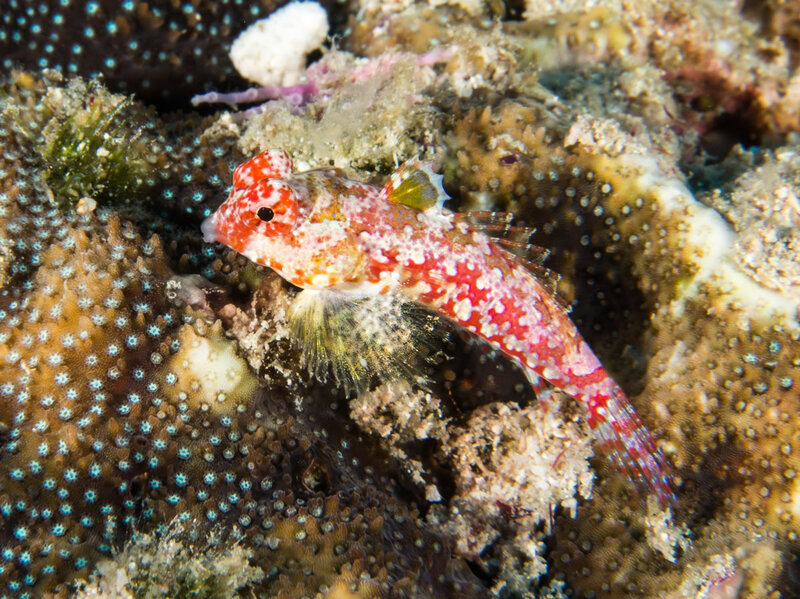 Couple of blennies peeking out of the coral. A goby keeping company, too. 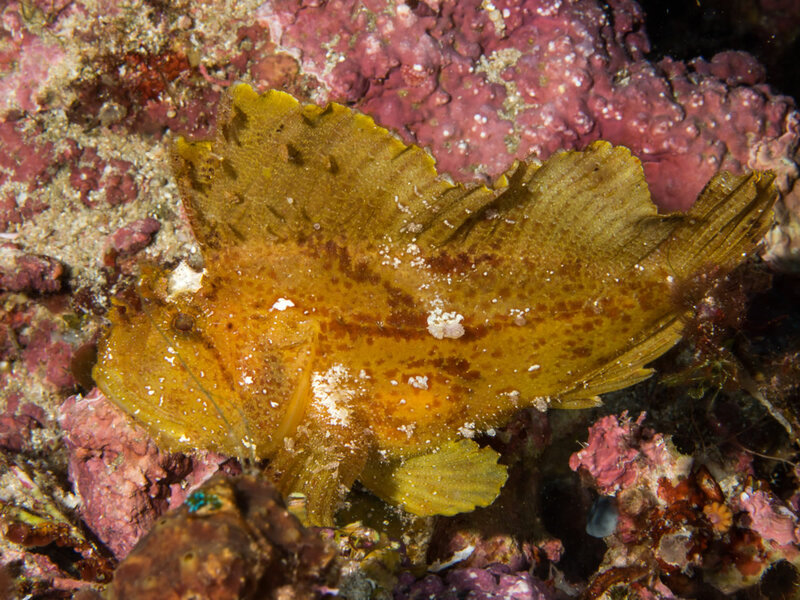 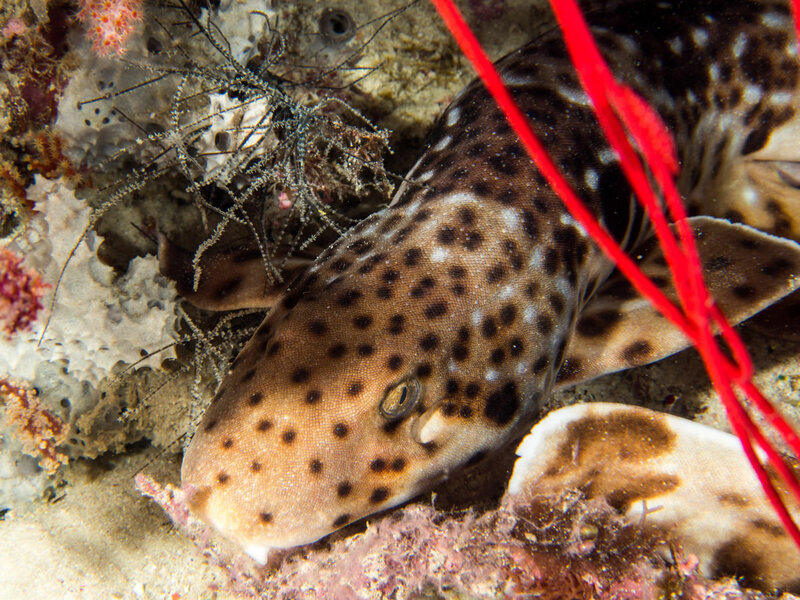 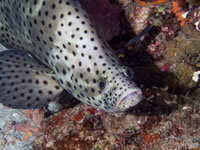 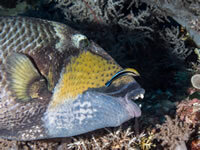 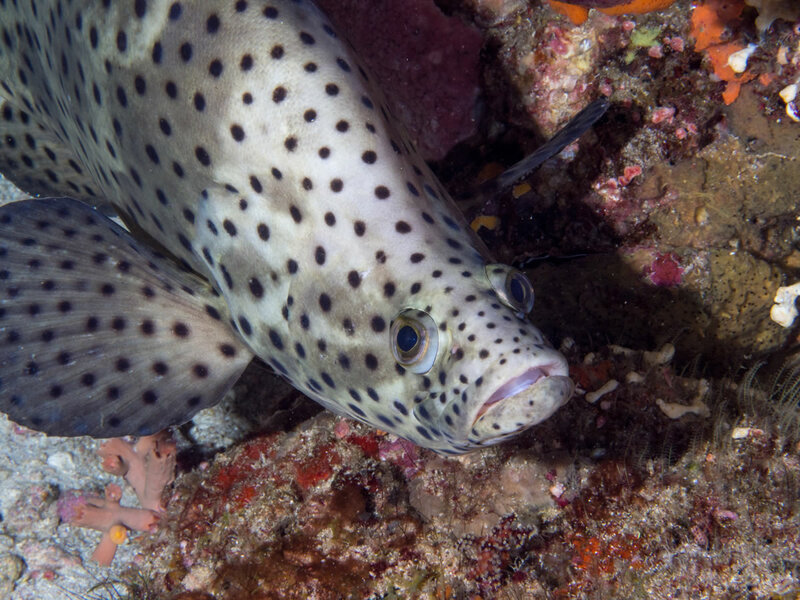 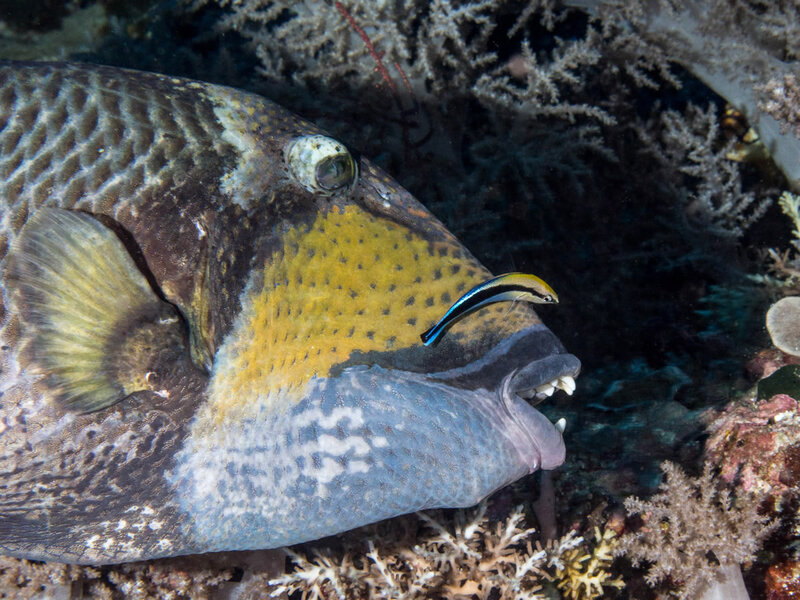 Crocodilefish - note the lappet on the eye which helps to hide it. 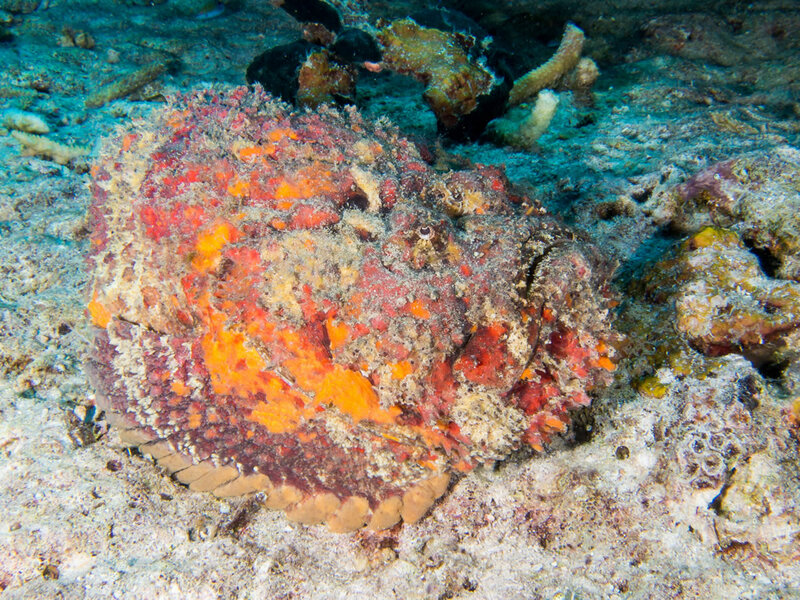 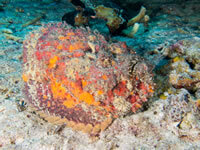 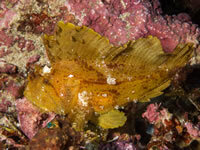 Giant Frogfish - so-called, even though it's still pretty small. 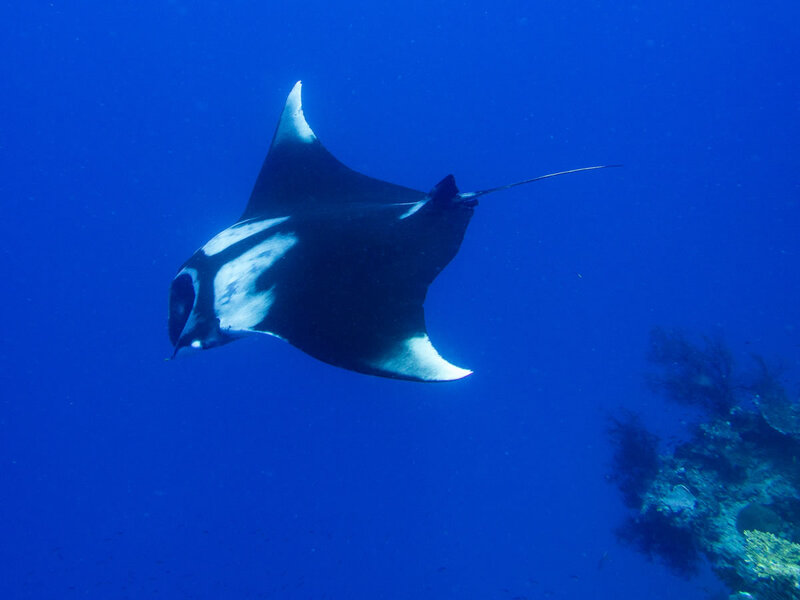 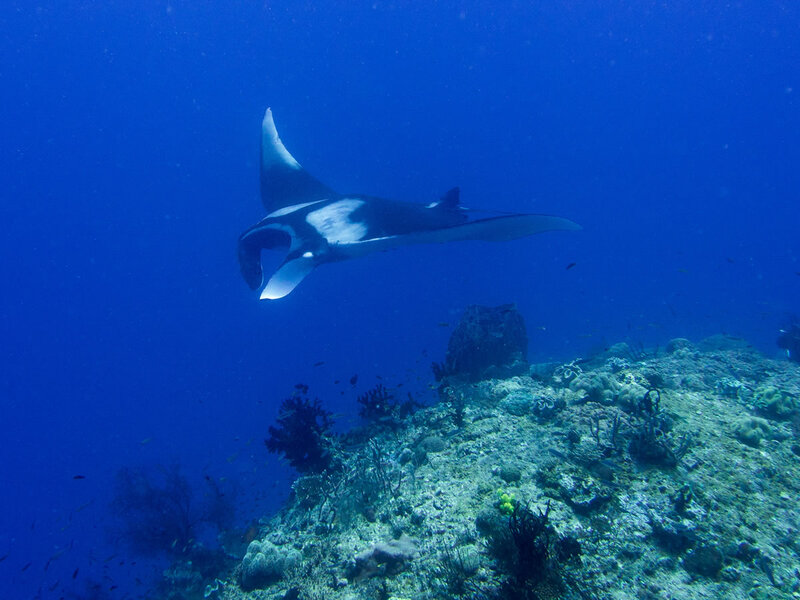 Second of two Giant Mantas we saw. 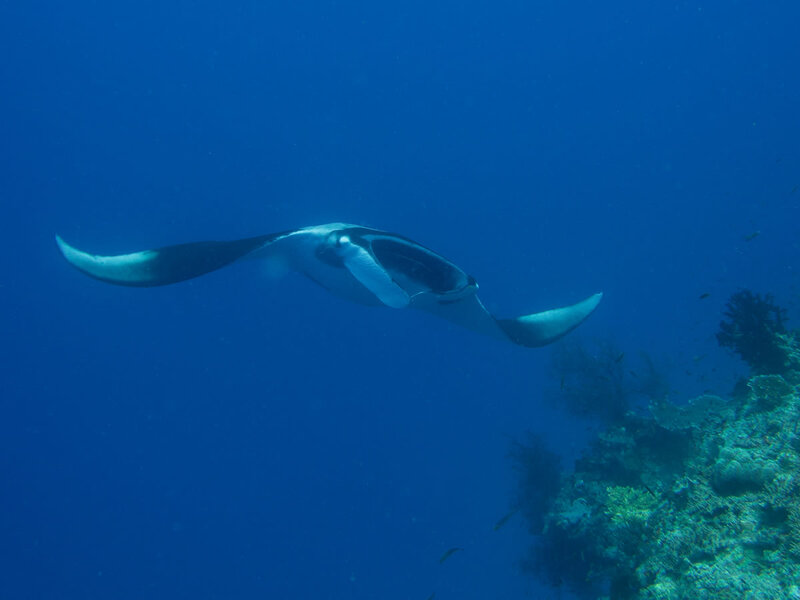 The first one didn't stick around for a picture. 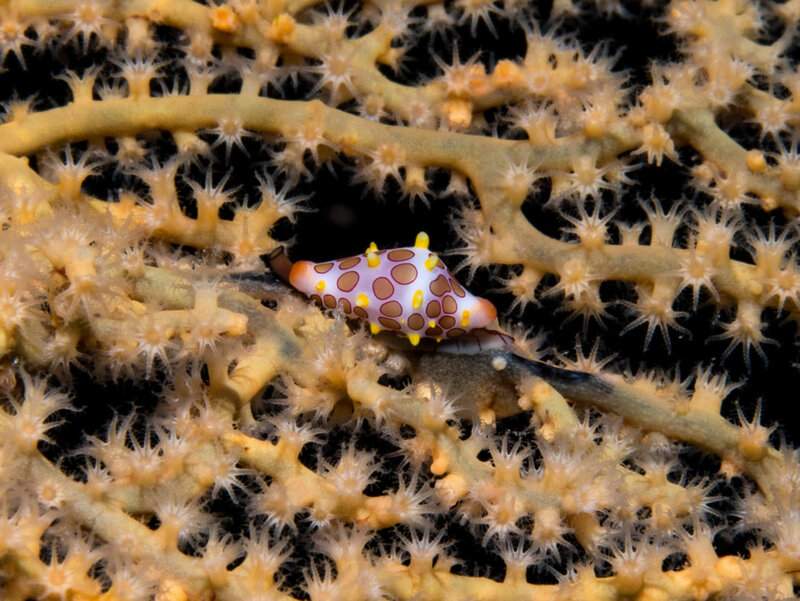 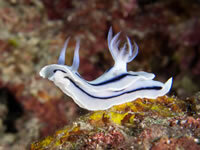 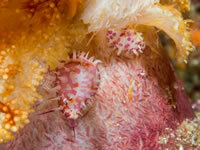 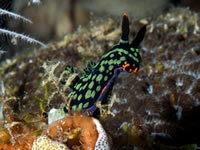 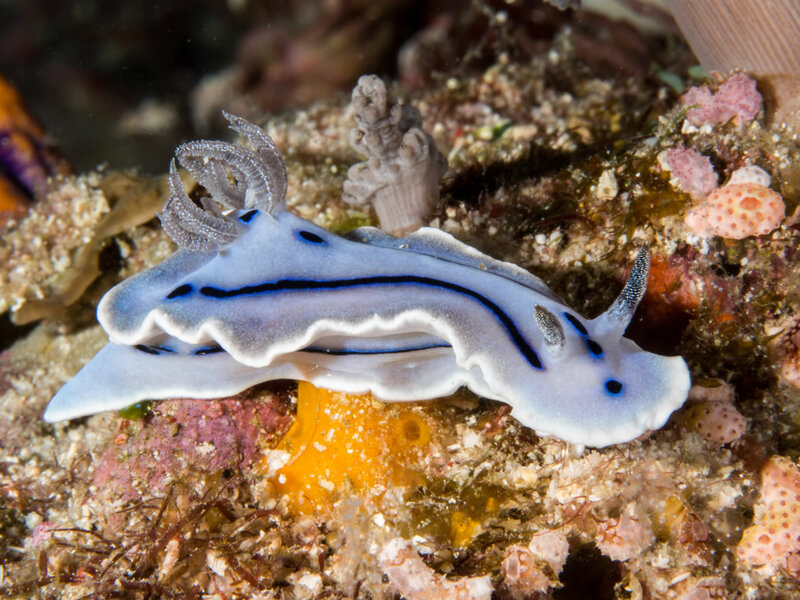 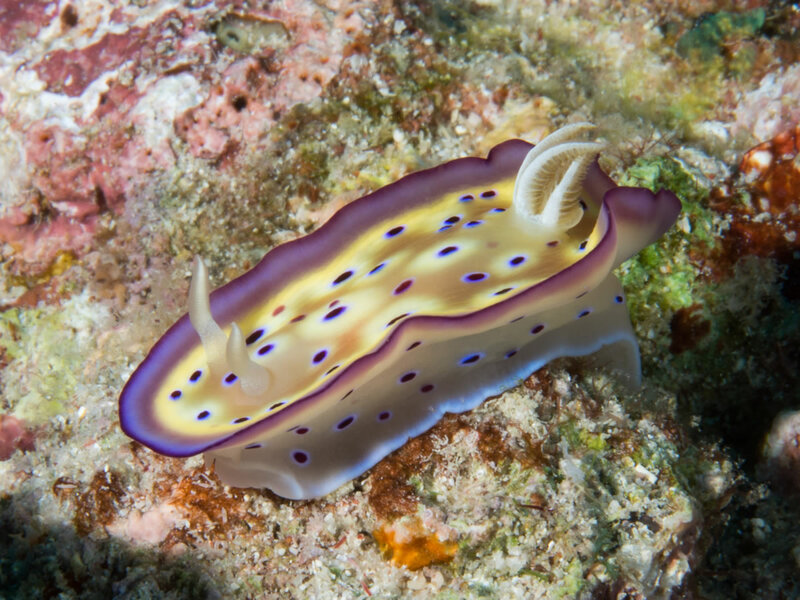 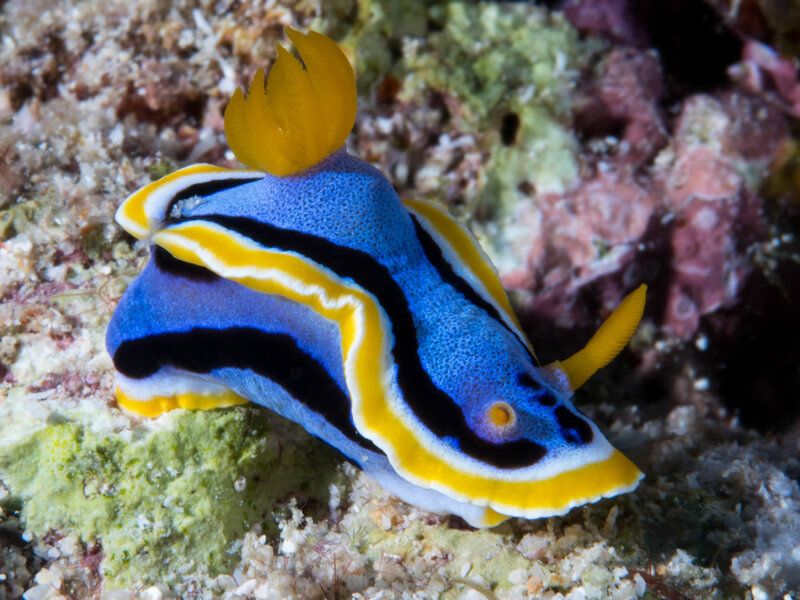 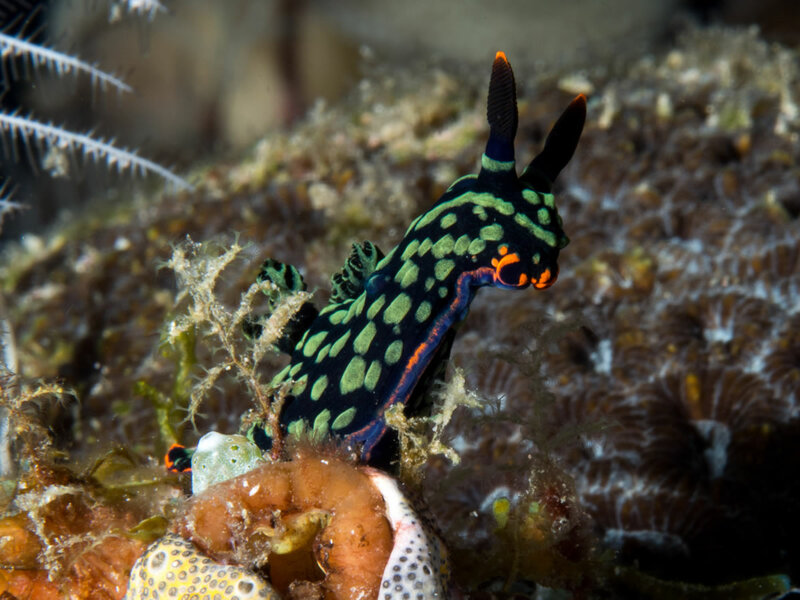 Several Nudibranchs to follow of various colors and patterns. 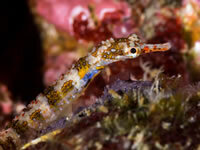 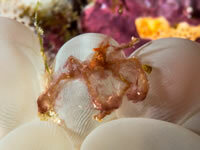 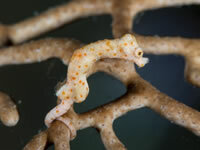 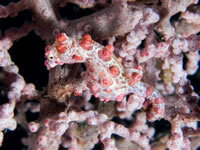 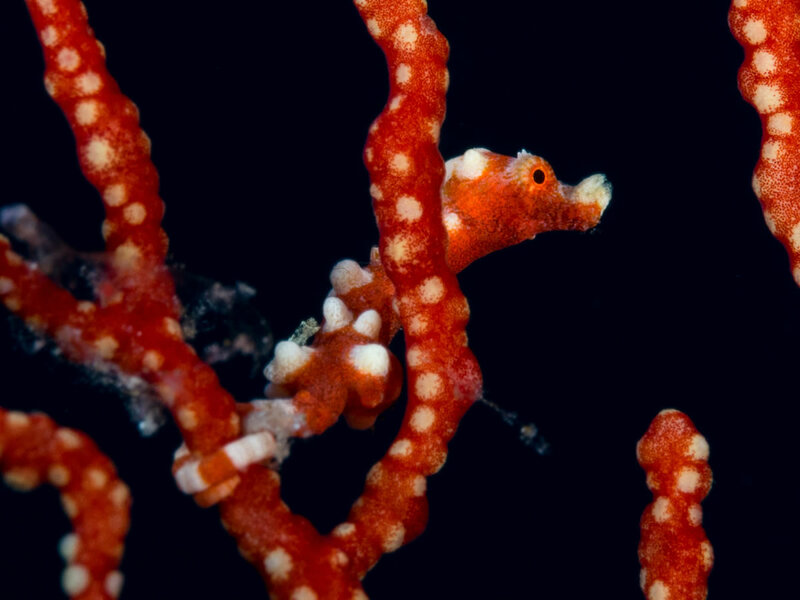 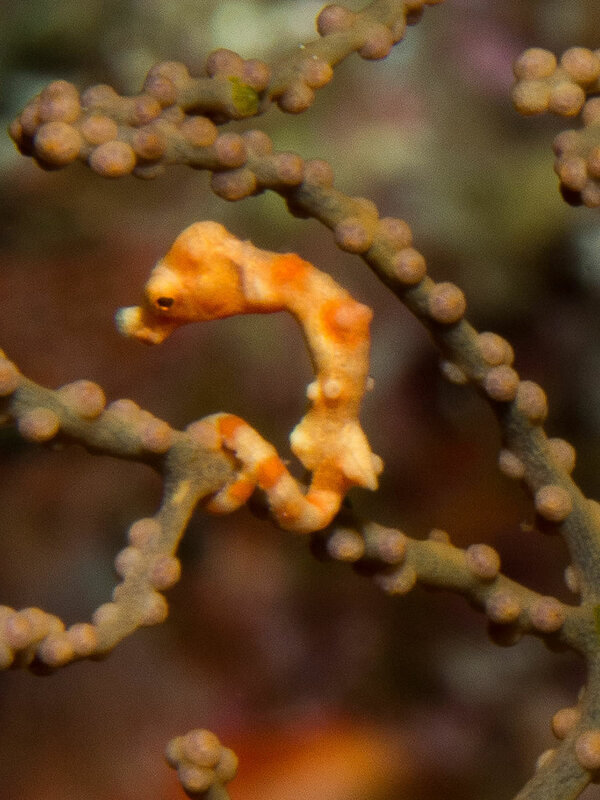 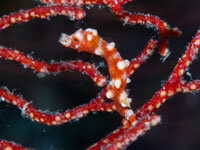 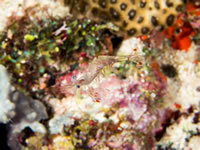 Some Pygmy Seahorses to follow - actual size is about 1/2 inch tall. 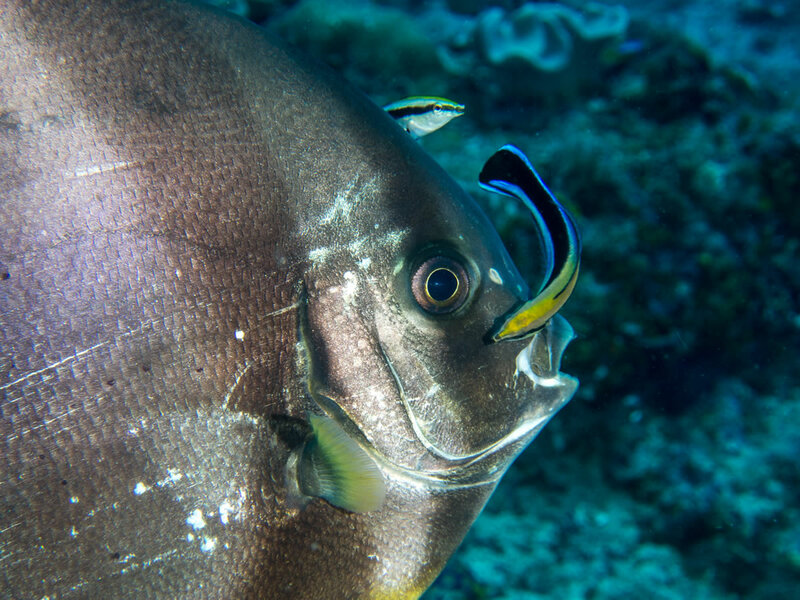 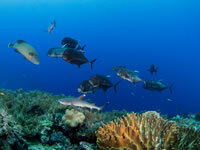 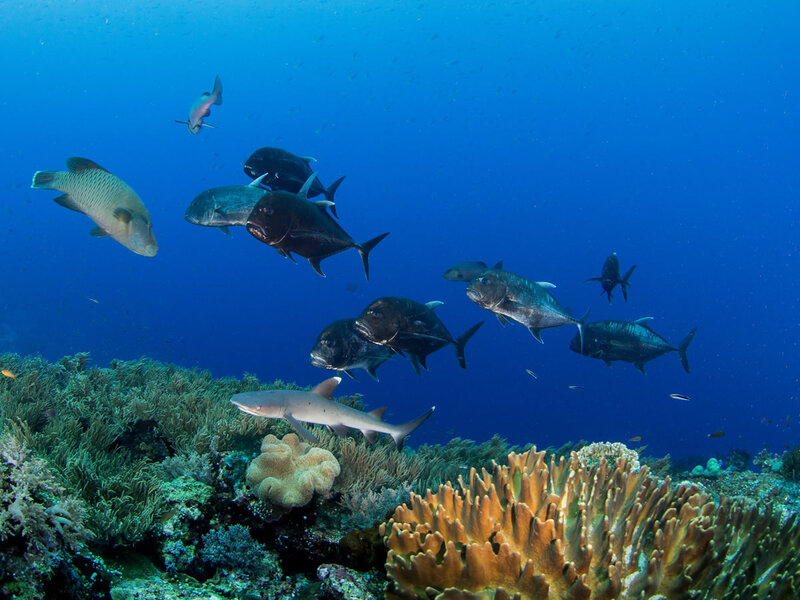 Trevally, Whitetip and Napoleon Wrasse all hunting together. 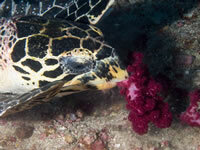 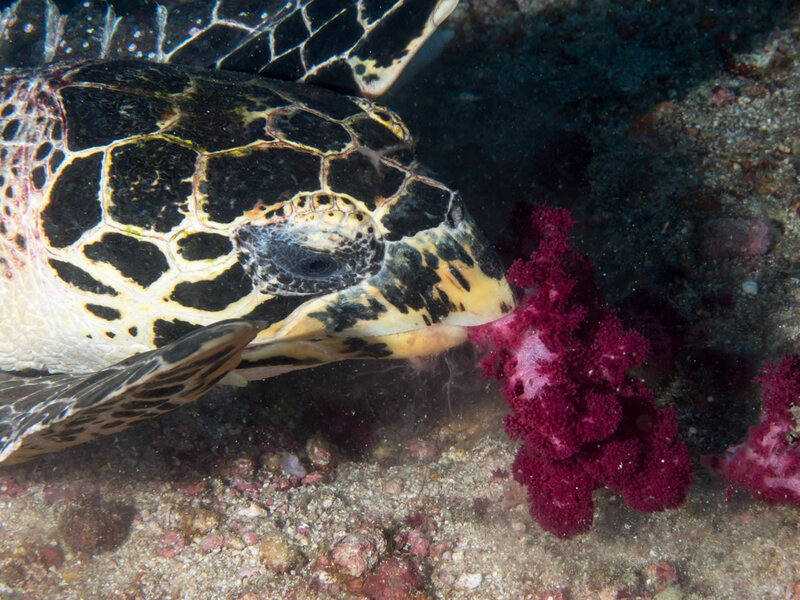 Hawksbill Turtle chowing down on some soft coral. 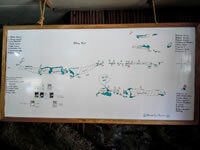 Misool Resort inside the blue circle at bottom of map. 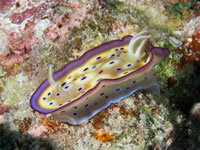 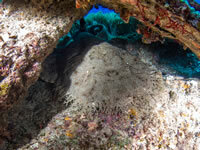 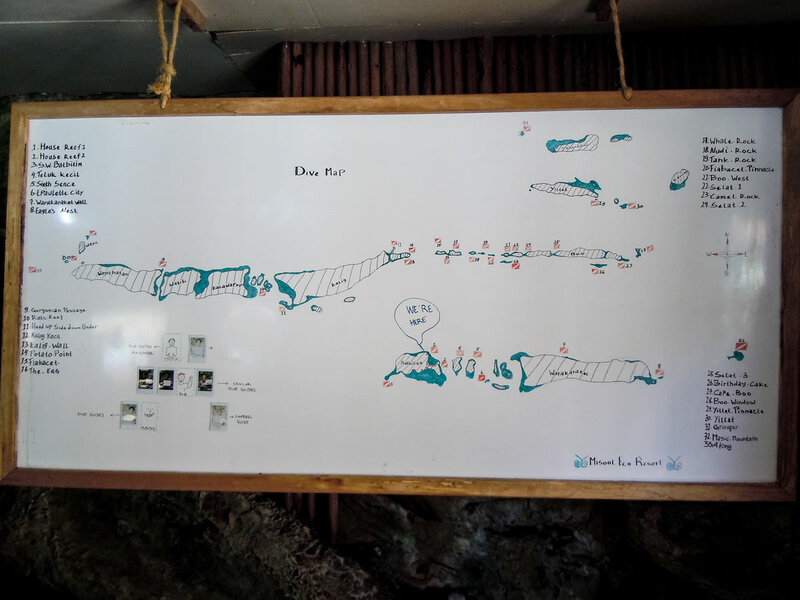 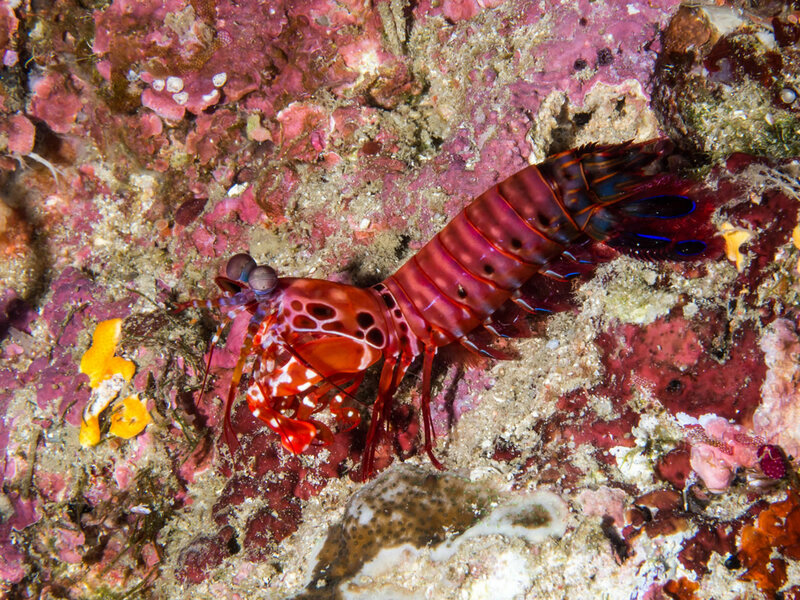 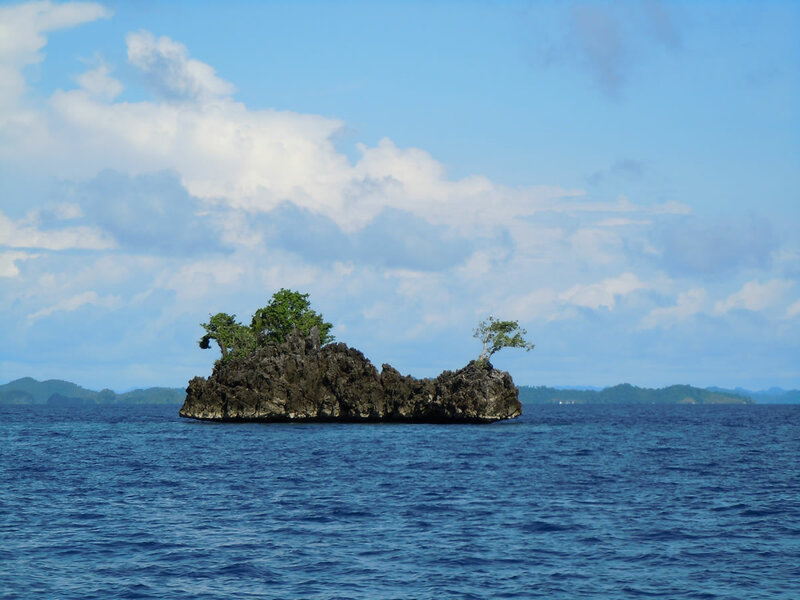 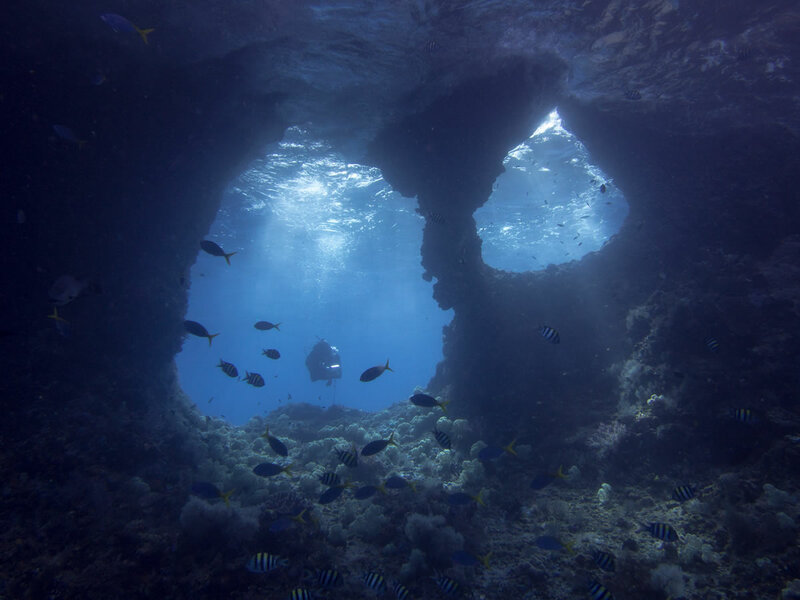 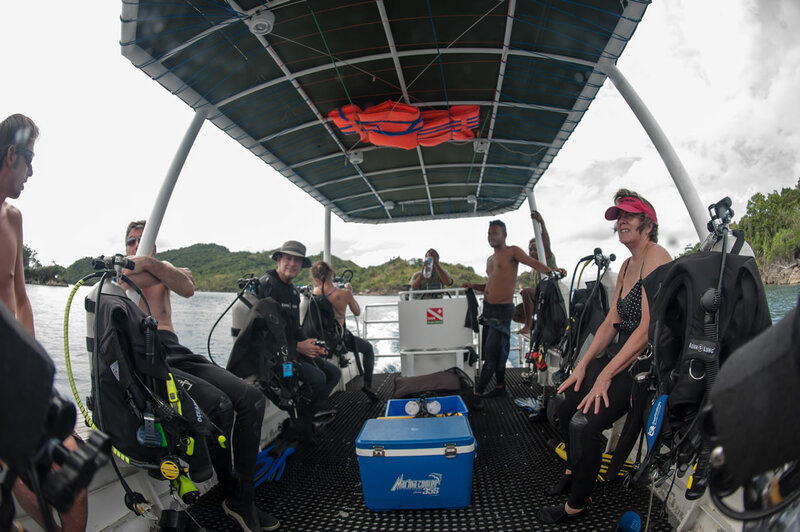 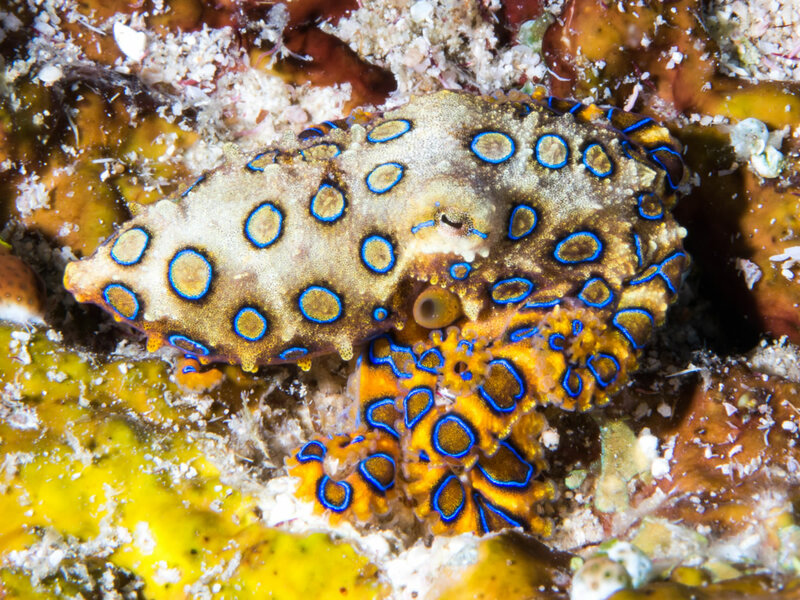 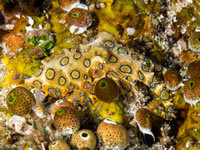 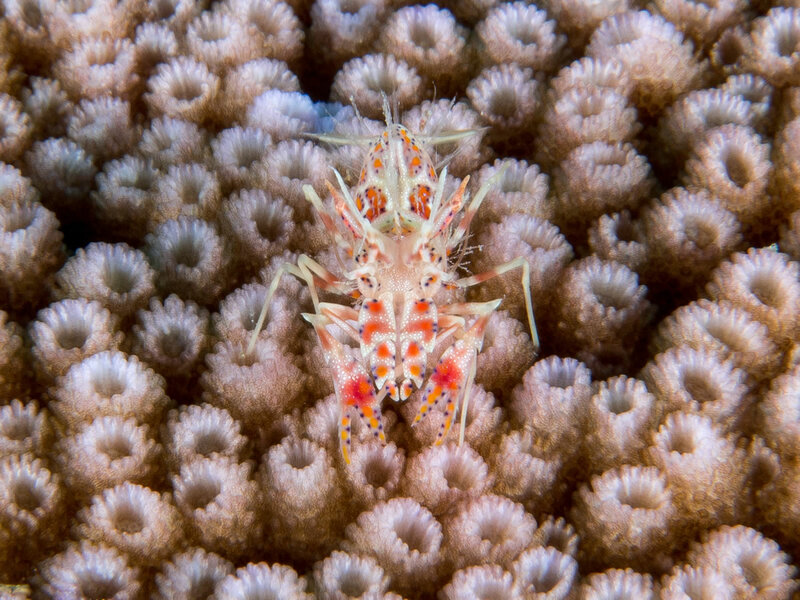 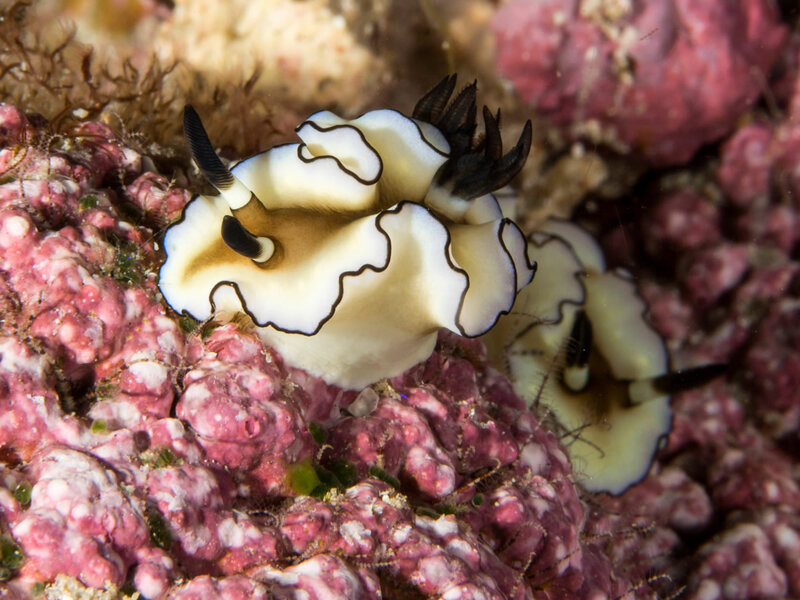 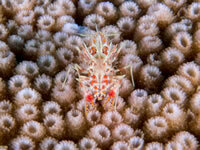 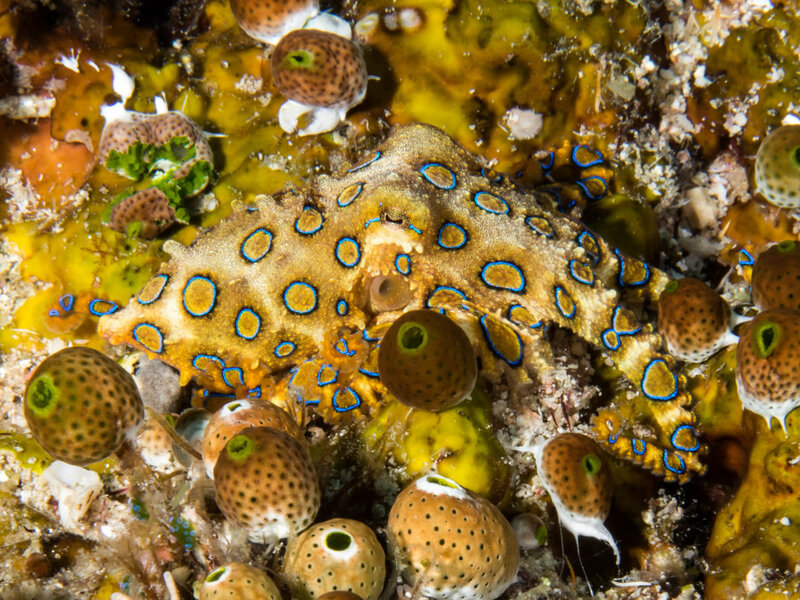 Nudi Rock - a favorite dive site that is only a five minute boat ride away. 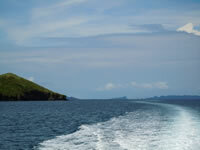 The dive resort is located on the left side of the sloping island in the distance. 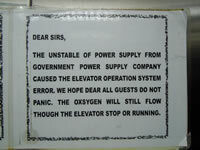 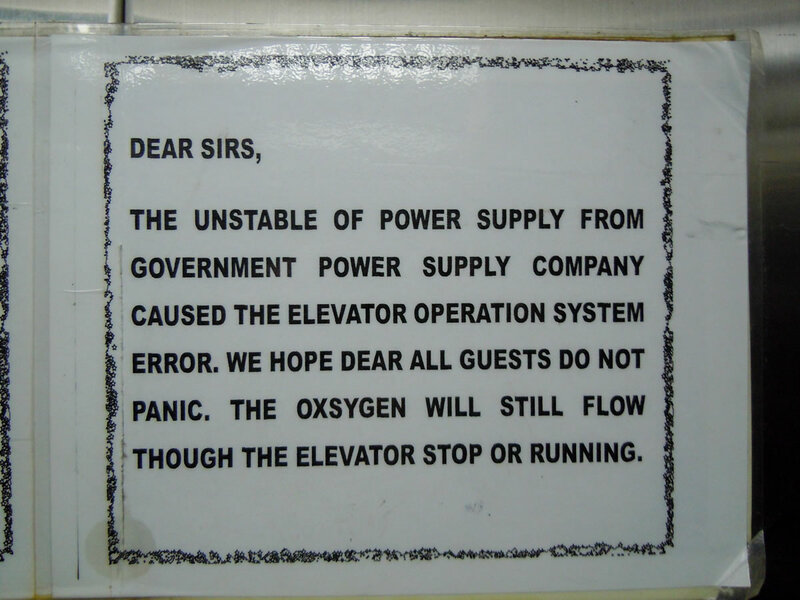 Sign in Sorong hotel elevator - at least their English is better than my Indonesian. 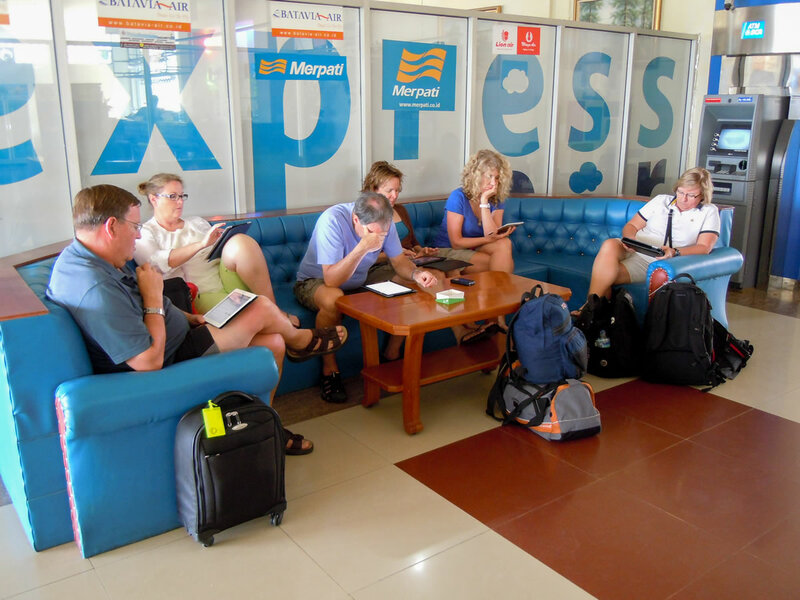 I think I was the only one on the trip without an iPad.